I first had the pleasure of meeting Jazz legend Sonny Simmons last year when he so graciously shared his time and talent with my Kids for Coltrane students at the Holliswood School. 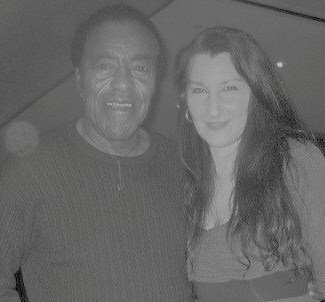 This month I had the sincere pleasure and great opportunity to interview Sonny over lunch in New York City. There I was sitting with Sonny Simmons and his band mate Michael Marcus, dining at a fine restaurant looking over Columbus Circle. I reflected on the journey that got me to this day… when a musician of Sonny’s caliber and incredible life story would honor me with an interview. I will be writing about our conversation…so check back to my blog again soon.~ Thanks Sonny, you are one of a kind…a real gem. Summary of my presentation entitled The Other Side of Art and Music. 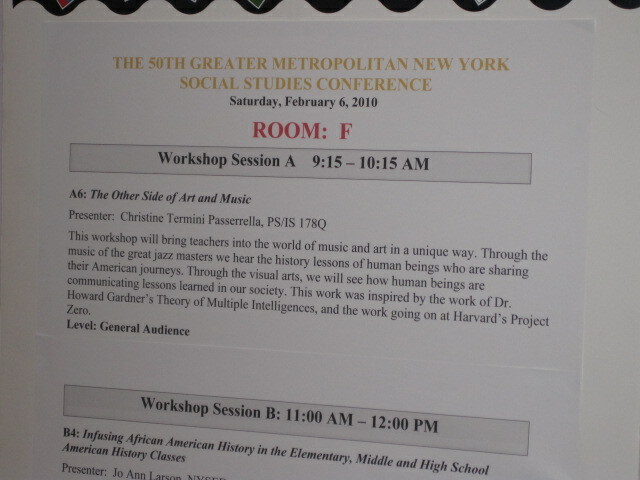 It was an honor to be one of many presenters at the 50th Greater Metropolitan New York Social Studies Conference. The conference offered many enlightening and thought-provoking workshops. Doris Kearns Goodwin was the recipient of the Hubert Humphrey Humanitarian Award. Sharing with educators my experience visiting John Coltrane’s Huntington, Long Island home. 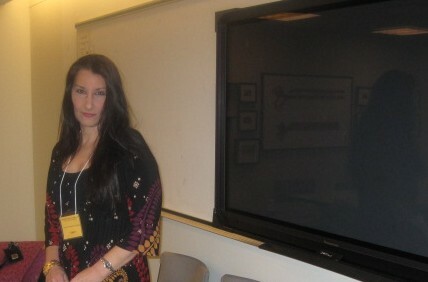 I had a wonderful uplifting day sharing my project with New York City educators. There was a blizzard on the way, but many educators found their way to the UFT building at 52 Broadway to attend this wonderful conference. I had the opportunity to present my journey. I shared what I have learned from the folks at Jazz at Lincoln Center, the Smithsonian Institute, the National Endowment for the Arts, the Jazz Foundation of America, the Metropolitan Museum of Art and Harvard’s Project Zero. The focus of the discussion highlighted jazz as it unfolded in American history. We discussed the struggle for civil rights, the pluralistic character of American culture, arts and culture as a reflection of historical events, jazz as a metaphor for American identity, the effect of technology on American culture, and arts and music as a means of self-expression. I want to send out a special thank you to Rozella Kirschgaessner, ATSS/UFT President/Chairperson for appreciating the significance of this work. Here is a clip of Dr. Linda Darling-Hammond discussing what she learned about education from high achieving schools throughout the world. This video is from Edutopia which was created by the innovative genius George Lucas. ~ Thank you Dr. Darling-Hammond and Mr. George Lucas for illuminating the way. I had the extreme pleasure of being invited to the NEA Jazz Masters Awards Ceremony and Concert by Joann Stevens who is the program manager for Jazz Appreciation Month at the Smithsonian Institute. The awards ceremony honors the great jazz masters. I was breathing rarefied air! Give yourself a gift and research the lives and music of these outstanding artists, and you will never be the same. I know jazz music and my journey understanding its impact on the United States and the rest of the world certainly brought me enlightenment and enrichment. On this evening in January, I watched as brilliant artists were given respect and praise in the beautiful Rose Theater at Jazz at Lincoln Center. 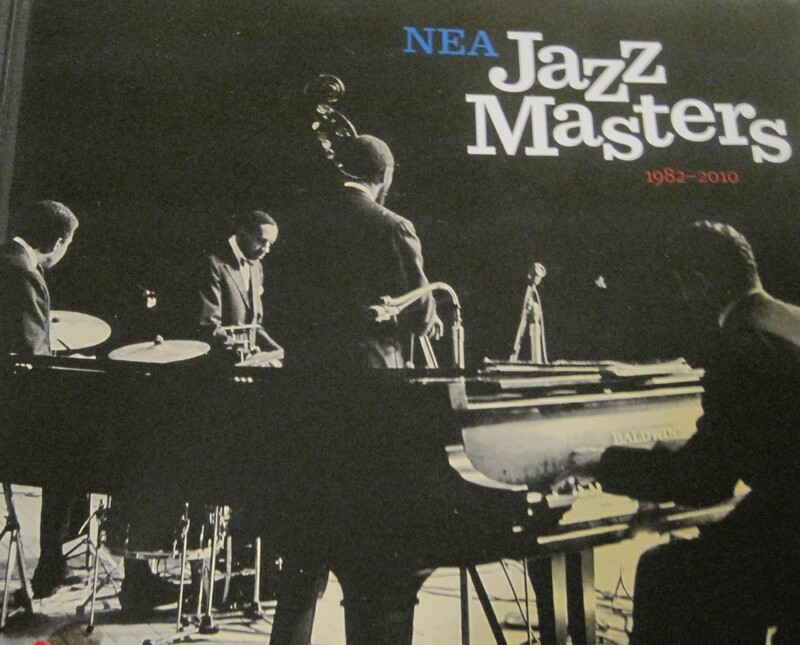 The 2010 NEA Jazz Masters are Muhal Richard Abrams, Kenny Barron, Bill Holman, Bobby Hutcherson, Yusef Lateef, Annie Ross, and Cedar Walton. George Avakian received the A.B. Spellman NEA Jazz Masters Award for Jazz Advocacy. This event was heard worldwide. Jimmy Heath (2003) and Jimmy Cobb (2009) both past recipients of the award were presenters this year. It was especially thrilling to see them because of their connection to John Coltrane. I would also like to note that another one of my favorite people, writer Nat Hentoff, also received a Jazz Masters Award in 2004. Rocco Landesman, NEA Chairman wrote, “Jazz is the field that probably best exemplifies the fact that art works. Since its creation on American soil some hundred or so years ago, jazz has brought joy to millions of people around the world, created a new lexicon for performing and listening to music and presented a new canon of American songs performed by musicians all over the world over.” Jazz certainly has influenced all genres of music since its inception. Dr Martin Luther King, Jr. said it is triumphant music, and I couldn’t agree more. Congratulations to this year’s recipients for receiving the highest honor in jazz, and a heartfelt thank you to blues and jazz musicians throughout the world.